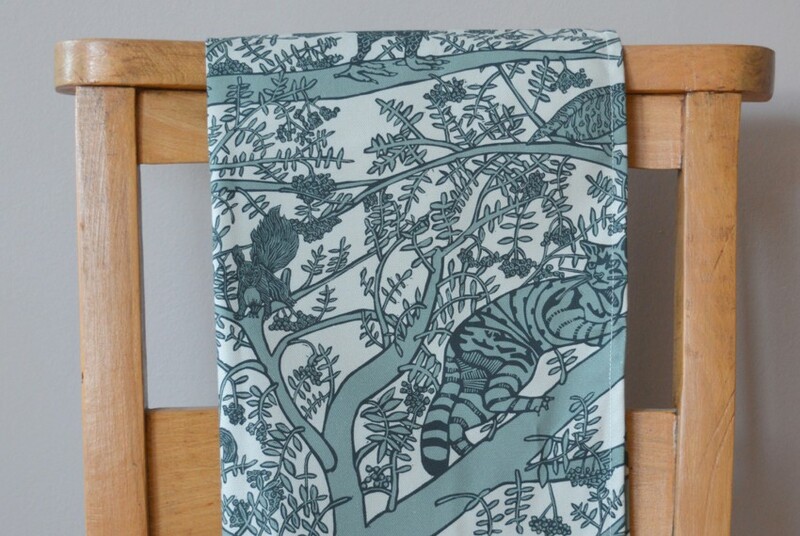 Printed on durable cotton, this tea towel features Little Axe's striking Endangered Animals print. 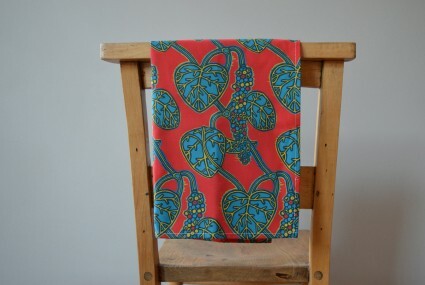 Hand-finished with a lino printed design on heavyweight cotton panama. 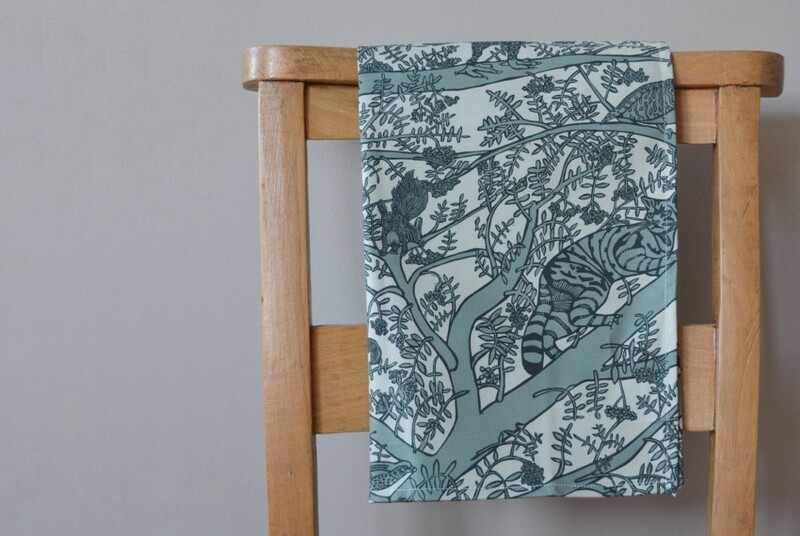 Cut and printed from a single lino block the repeating print Endangered Animals draws our attention to wildlife that is rare or disappearing from our environment. This design brings the outside into your home, and reminds us of our fragile relationship with nature. Little Axe recommends machine washing your item at 60°C. This item will be delivered within 3 - 5 working days. 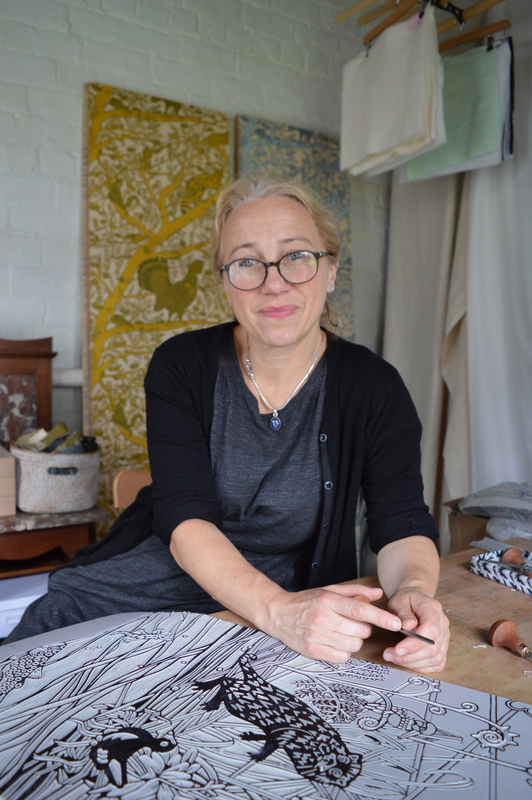 Printmaker Ursula Hunter launched her design company Little Axe in 2014. 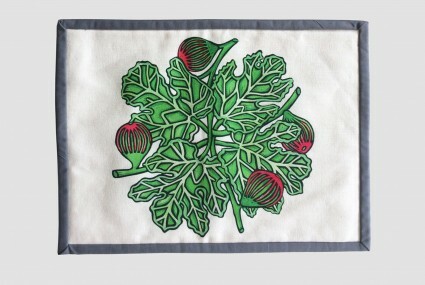 She makes bold and colourful lino printed designs inspired by wildlife and decorative pattern for interior décor and accessories. 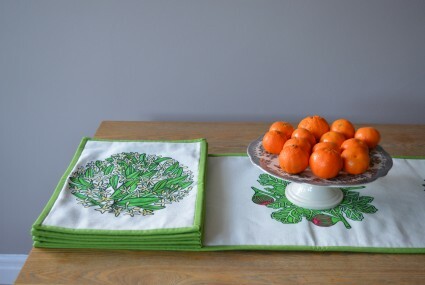 She applies her printed designs to a range of surfaces and materials including wallpapers, textiles and ceramics. Ursula welcomes commissions for bespoke projects and has worked on large-scale surface designs for interiors. 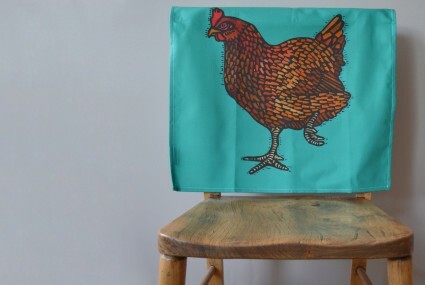 She also makes a range of affordable handmade textile products. All of the materials are carefully sourced from local manufacturers and handmade in small batches within the UK.